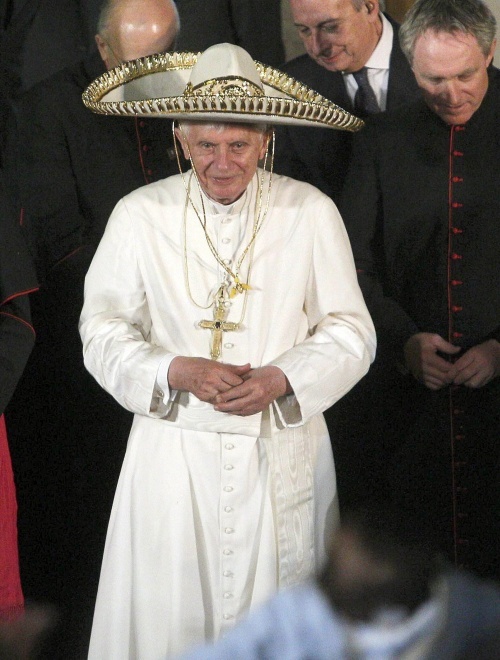 In pictures: A file picture dated on 25 March 2012 showing Pope Benedict XVI as he receives a mariachi tribute in front of Miraflores school in Leon, Mexico. Pope Benedict XVI announced 11 February 2013 plans to step down. A file picture dated on 25 March 2012 showing Pope Benedict XVI as he receives a mariachi tribute in front of Miraflores school in Leon, Mexico. Pope Benedict XVI announced 11 February 2013 plans to step down.